The common cold is an infection that can irritate your nose and throat. The common cold is caused by a virus. There are over 200 different viruses that can cause a cold. The diagnosis is most often based on your symptoms. Generally, tests are not needed to make a diagnosis unless another condition is suspected, such as pneumonia . Stay hydrated by drinking plenty of fluids. Warm beverages like tea and chicken soup are soothing. They may also help decrease congestion. Use a humidifier. A cool-mist humidifier will keep your nasal passages moist. Humidifiers may also loosen congestion. Be sure to clean the humidifier every day. Try nasal flushing with a neti-pot or saline spray. This can help loosen mucus. Gargle with warm salt water. It can help soothe a sore throat. To relieve aches, pains, and fever consider non-steroidal anti-inflammatory drugs (NSAIDs), such as acetaminophen or ibuprofen. Prescription antiviral medication is usually not necessary. Note : Cough and cold medications should not be used in children under 2 years old, and they are not recommended in children under 4 years old. The US Food and Drug Administration has not completed its review regarding the safety of over-the-counter cough and cold medications in children ages 2-11 years. Rare, but serious side effects have been reported. Decongestant pills or nasal sprays can shrink nasal passages. They also decrease mucus production. Nasal sprays should only be used for 2-3 days. Longer use can lead to increased congestion when you stop using the product. Vitamin C —Taking extra vitamin C at the start of a cold has not been shown to be of any benefit. Some believe that taking vitamin C throughout the cold season may help reduce symptoms or shorten how long the cold lasts. Zinc lozenges—Taking zinc lozenges at the start of a cold may help shorten the length of the cold. Echinacea —Echinacea might help people to recover faster from a cold. But, there is little evidence that it can prevent colds if taken in advance. Honey —While honey has not been shown to affect the severity or length of a common cold, it may improve nighttime cough and sleep disruption in children. Do not give honey to infants younger than 12 months because of the risk of infant botulism. Note: Some supplements and herbal treatments may not be pure. Many can also interact with prescription medications and over-the-counter products. Talk to your doctor before using any of these products. Keep your hands away from your nose, mouth, and eyes. If you smoke, talk to your doctor about ways to quit or cut down on smoking. Ask your doctor if taking certain supplements may be right for you. Colds and flus. EBSCO Natural and Alternative Treatments website. Available at: http://www.ebscohost.com/biomedical-libraries/natural-alternative-treatments.. Updated December 2015. Accessed August 14, 2017. Pappas DE, Hendley JO, Hayden FG, Winther B. Symptom profile of common colds in school-aged children. Pediatr Infect Dis J. 2008;27(1):8-11. Slapak I, Skoupá J, Strnad P, Horník P. Efficacy of isotonic nasal wash (seawater) in the treatment and prevention of rhinitis in children. Arch Otolaryngol Head Neck Surg. 2008;134(1):67-74. 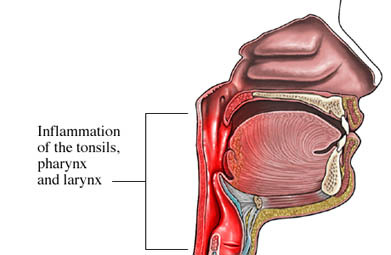 Upper respiratory infection (URI) in adults and adolescents. EBSCO DynaMed Plus website. Available at: http://www.dynamed.com/topics/dmp~AN~T114537/Upper-respiratory-infection-URI-in-adults-and-adolescents . Updated April 10, 2017. Accessed August 14, 2017. Upper respiratory infection (URI) in children. EBSCO DynaMed Plus website. Available at: http://www.dynamed.com/topics/dmp~AN~T903639/Upper-respiratory-infection-URI-in-children . Updated March 3, 2016. Accessed August 14, 2017. 12/4/2007 DynaMed Plus Systematic Literature Surveillance http://www.dynamed.com/topics/dmp~AN~T114537/Upper-respiratory-infection-URI-in-adults-and-adolescents : Lizogub VG, Riley DS, Heger M. Efficacy of a pelargonium sidoides preparation in patients with the common cold: Arandomized, double blind, placebo-controlled clinical trial. Explore (NY). 2007;3(6):573-584. 1/30/2008 DynaMed Plus Systematic Literature Surveillance http://www.dynamed.com/topics/dmp~AN~T903639/Upper-respiratory-infection-URI-in-children : Paul IM, Beiler J, McMonagle A, et al. Effect of honey, dextromethorphan, and no treatment on nocturnal cough and sleep quality for coughing children and their parents. Arch Pediatr Adolesc Med. 2007;161(12):1149-1153. 8/6/2010 DynaMed Plus Systematic Literature Surveillance http://www.dynamed.com/topics/dmp~AN~T903639/Upper-respiratory-infection-URI-in-children : Hemila H, Chalker E, Douglas B. Vitamin C for preventing and treating the common cold. Cochrane Database Syst Rev. 2010;(3):CD000980. 7/6/2011 DynaMed Plus Systematic Literature Surveillance http://www.dynamed.com/topics/dmp~AN~T903639/Upper-respiratory-infection-URI-in-children : Paul IM, Beiler JS, King TS, Clapp ER, Vallati J, Berlin CM. Vapor rub, petrolatum, and no treatment for children with nocturnal cough and cold symptoms. Pediatrics. 2010;126(6):1092-1099. 2/3/2015 DynaMed Plus Systematic Literature Surveillance http://www.dynamed.com/topics/dmp~AN~T114449/Asthma-in-adults-and-adolescents : Rantala A, Jaakkola JJ, Jaakkola MS. Respiratory infections in adults with atopic disease and IgE antibodies to common aeroallergens. PLoS One. 2013;8(7):e68582.